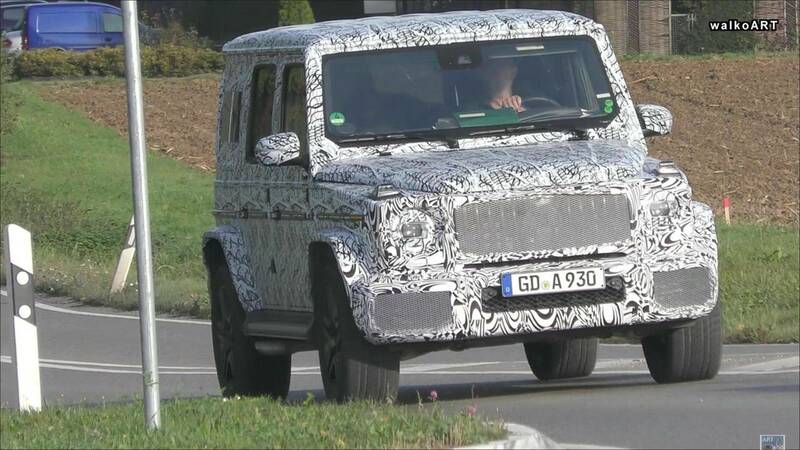 The next-generation Mercedes-Benz G-Class is close to a debut, possibly as soon as the Detroit Auto Show in January, and a new spy video reveals the latest state of the G63's development. 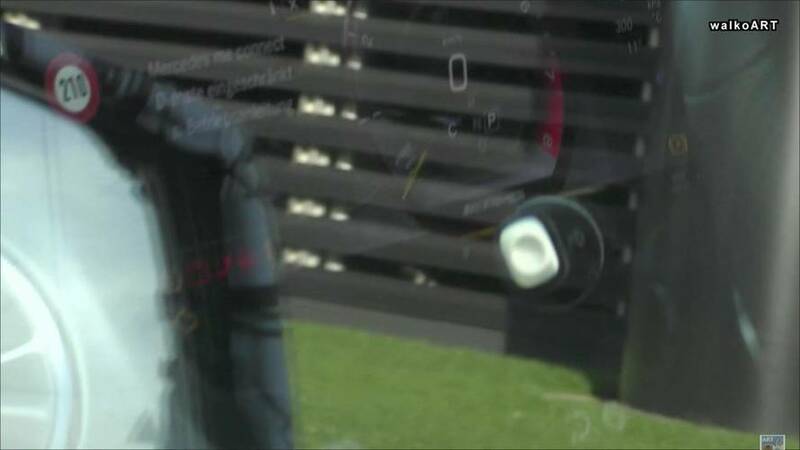 This one features a digital instrument panel. A mule in previous spy shots (gallery below) provided a better view of the cabin, but that model had analog instruments. It's not clear at this point whether the earlier model is simply early in development or whether Mercedes intends to offer the digital panel as an option. In addition, the interior features a large display on the center stack. Below it, there's metallic trim surrounding stylish vents and an array of physical controls. This video shows two test mules under development. One of them appears to be in a more finished state. Mercedes' mesh over the front end can't hide the shiny vertical slats in the company's Panamericana grille. Horizontal dividers break up the corner intakes in the lower fascia, and there's mesh in the center section. The headlights are under heavy concealment, but the engineers expose the LEDs in the center. The other model in this clip has standard halogen lights. In profile, the G63 continues to look tough. It features muscular fenders, an upright stance, and side-exit exhausts. Around back, there's a big rear window and fairly tiny rectangular taillights. Mercedes recently announced that it would discontinue the G500 4×4² at the end of October. This suggests the company is winding down production of the current generation in preparation for the new model. 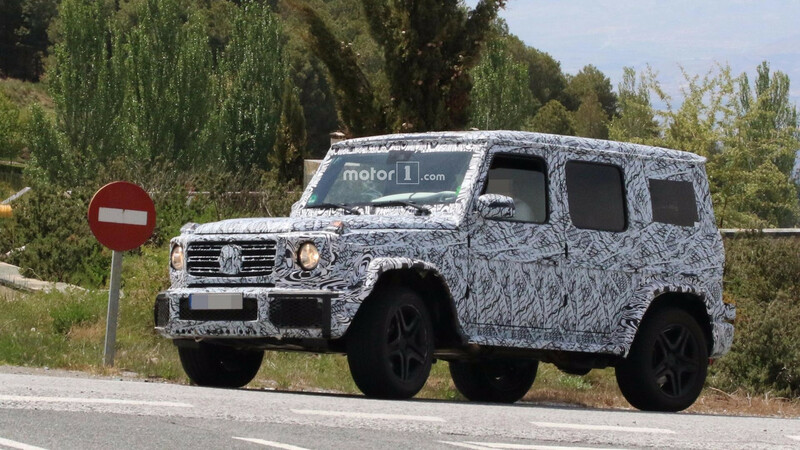 The next G-Class reportedly rides on a new platform that helps it cut a significant amount of weight. 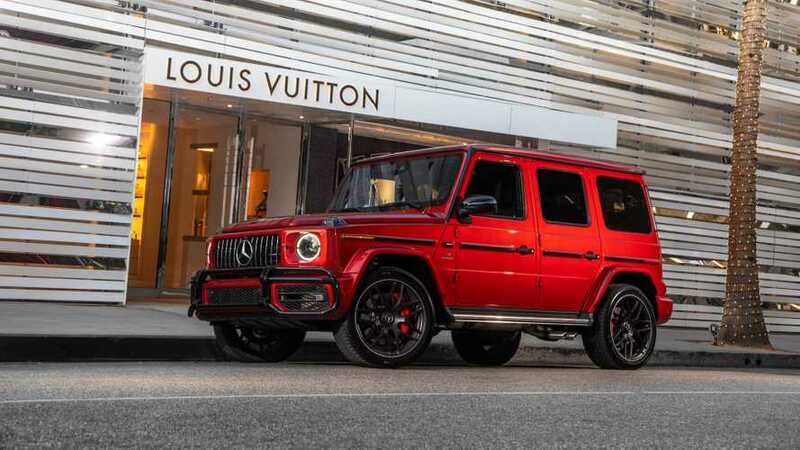 Mercedes-AMG's 4.0-liter biturbo V8 would power the new G63, and the 6.0-liter biturbo V12 would continue to motivate the G65.